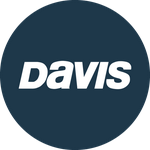 This document allows programmers to create their own applications that communicate with Davis Vantage weather systems (including Weather Envoy) regardless of your OS platform. It describes the low level communications protocol and commands necessary to communicate between the Vantage system and a computer. Documented how to configure reception through repeaters. Added document revision and date to all pages. Corrected the response of the BAR= command from "ACK" to "OK". Fixed offset of Leaf data in HILOW format table. Corrected descriptions of dew point, wind chill, heat index, and THSW index in LOOP 2 format table. Removed unused STRMON and STRMOFF commands. Added RXTEST command to get console out of Receiving From screen. Added section for web download protocol. Added Wind Cup Size EEPROM location for Vantage Vue & Vantage Pro 2 stations. Corrected data formats in LOOP2 packet definition. Corrected unit description of rain alarm and high/low values (i.e. rain clicks, not 1/100 inch) and Daily ET (1/1000 in). Added section to document Vue EEPOM layout. Added references to the Vantage Vue product as appropriate. Required: Vantage WeatherLink data logger required (6510C, 6510SER, 6510USB, 6520, 6540, 6544, 6550, 6560, 6555).